Kedaar started going to summer camp this week, the first 2 weeks are with Mrs.Shilpa Badadare near by our house. 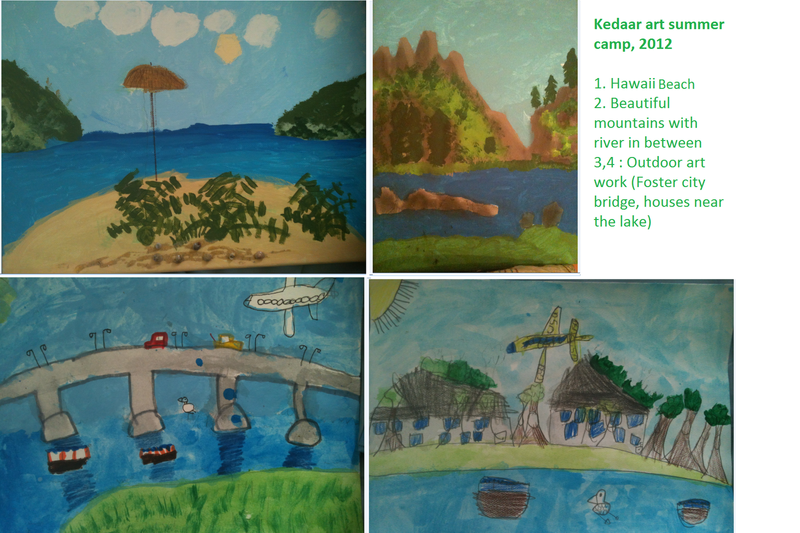 Kedaar loved the art summer camp and enjoyed the art very much. Some of the nice art work (canvas paint) he did in these 2 weeks. Tired of watching all the kiddy stuff for too long, I asked Kedaar to watch a family/children movie with me for a change. 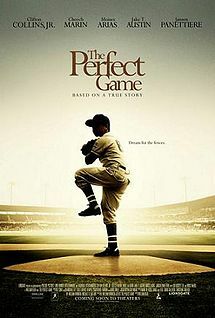 We chose a movie called "Perfect game" from netflix. The movie was very interesting, about how a team from won baseball championship. Kedaar enjoyed the movie fuly as the kids started learning, winning the game. I think he got inspired by it as well, when the movie ended, he went to bedroom to sleep (around night 10 PM) with full of tears in his eyes and he said "mummy, I get tears in my eyes even if it is a good movie". It was amazing that movies can impact kids as well so much and then after that he talked non-stop for 1 hr on how much he likes sports and what all games he can play with super excitement. I saw him getting little involved when we went to some dramatic telugu/hindi movies as well before (where he said at the end how he never want to go such movies again), but this time this was truly inspiration. Anyway, something to remember. Watching TV or movies with Kedaar is so much fun.. whether it is some silly dragon tales he loves, or Seinfeld I love or movies like which all of us can enjoy! Kedaar completed Kindergarten at KidsConnection elementary school, Foster city. The year was amazing and he learned a lot and made so many friends. Now its vacation time! Photos from the occasson.